There’s a lot going on in Redmond. 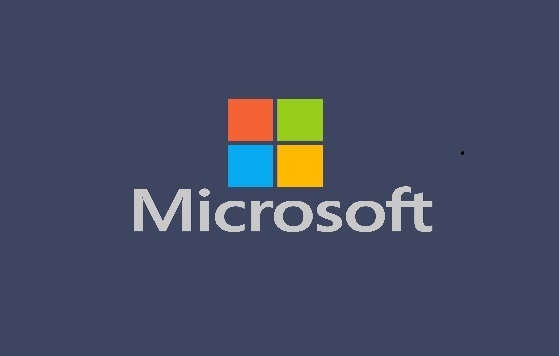 Microsoft partners are upset because of changes to the Azure Customer Agreement, Cortana separating from Windows Search, and Microsoft’s plans for Microsoft 365 for consumers, . Microsoft has published new Azure Customer Agreement, which goes into force in March (https://www.microsoft.com/en-us/licensing/news/improving-azure-experience). According to its language, in the future customers will buy Azure directly from Microsoft, rather than from Microsoft partners as they have done earlier. When current licenses run out, Microsoft sales representatives will contact IT administrators, instead of the partner who sold them their previous Azure licenses. There will of course be a role for Microsoft partners in the future, but partners have already voiced concerns about this change especially because it could reduce their Azure incomes. Given absence of use rights advisory services required for Azure, the role of the licensing advisor is somewhat diminished. Options still exist however. Multiple programmes (EA/MCA/CSP) require analysis, support and service options assessed, and the myriad of workload classes and specifications require considered choice. The channel’s role aiding selection and right sizing thus remains. Where customer needs, and the corresponding solution, represent a package of requirements beyond Azure, the channel has a greater role enabling selection and MCA will be less relevant. What that means is that, according to Microsoft, partners will in the future only provide “value-added presales services and post-sale solutions for your Azure services”. It remains to be seen how this will affect Microsoft partners. All we know at the moment is that partners could lose a considerable source of income. Would it be better off, for example, to make Cortana a valuable skill that someone who is using Alexa can call? Or should we try to compete with Alexa? We, quite frankly, decided that we would do the former. Because Cortana needs to be that skill for anyone who is a Microsoft Office 365 subscriber. Google Assistant will be the next goal, according to Natella. Microsoft has chosen not to compete with devices like Amazon Alexa, developing Cortana in the future rather as a software / cloud tool to be used in various platforms and devices. Going forward, we’ll be decoupling Search and Cortana in the taskbar. This will enable each experience to innovate independently to best serve their target audiences and use cases. Some Insiders have had this update for a few weeks now, and we appreciate all the feedback we’ve received about it so far! For those new to this update, when it rolls out to you, you’ll find clicking the search box in the taskbar now launches our experience focused on giving you the best in house search experience and clicking the Cortana icon will launch you straight into our voice-first digital assistant experience. Interestingly enough, as of first boot this morning, I’ve lost the Windows Search button on the Taskbar on all my Insider machines. And Cortana once again acts both as digital assistant and Windows Search. Some kind of Insider Preview hiccup, I can only imagine. EDIT, 23-JAN-2018: As of early this morning, I once again have separate Taskbar icons for Cortana and Windows Search. Still no idea what happened in the first place. In the same meeting in which he talked about the future of Cortana, MS CEO Nadella also hinted that a consumer version of Microsoft 365 is planned. Although the main part of Microsoft’s revenue comes from enterprise customers and cloud services, consumers will remain important to the company, according to Nadella. “It’s very fair to say, as I said in the very beginning, that we started after all on the consumer side and then over-indexed to the IT side, and we definitely are very focused on bringing that back.” (source: https://stratechery.com/2019/satya-nadella-on-microsoft/). Mentioning Office 365, Nadella said “Office 365 or what we will soon be talking about as Microsoft 365 consumer subscriptions”. For those not already in this know, this means the OS comes along as part of a renewable subscription to MS Office, Teams, and more. My guess is, consumers will get two Microsoft 365 plans to choose from. MS 365 Personal subscription will contain one license of Windows 10 Pro edition and Office 365 Personal, and accordingly MS 365 Home subscription will contain 6 licenses of Windows 10 and Office 365. Based on current O365 and MS 365 pricing, I estimate the prices being $120 to $140 per year for MS Personal, and $150 to $170 for MS 365 Home.